Don't forget to go grab the Create and Share Button. Please share it in your post or on your blog. Thanks! 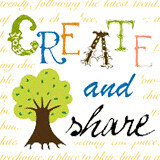 Share the Create and Share Button somewhere on your blog or in your post. OR..NEW...Create a Backlink to Trendy Treehouse. 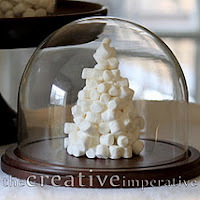 thanks so much for the marshmallow tree feature! Thank you so much for hosting, Tara! Hello my dear. Here I am in my PJ's, it's mid-week, it's cold, so I'm drinking coffee with the fire going. Today is awesome-plus, I was able to link up my DIY Vintage Aluminum wreath. Thanks for hosting the party once more! 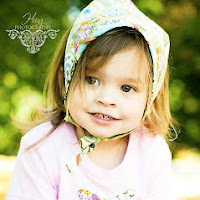 Thanks for hosting a great linky party! Your shop is full of such fun stuff! Thanks for hosting! 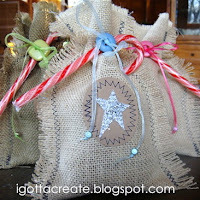 I love all the holiday ideas! 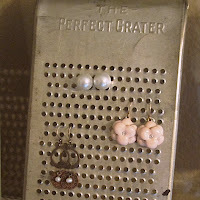 Now that we are getting closer to Christmas, I am pulling out all the stops on homemade gifts. I linked up my DIY Family Board Game that is all about YOU-whoever YOU are! Thanks for hosting and have a great weekend! Woo hoo! Hi Tara! I fill my own stocking too...and that's okay for me. Some nice thoughts you shared. Thanks...it's always good to look at things from a new perspective. I had been stagnant for awhile...but lately I'm feeling inspired and getting things done and that makes me happy! So I'm linking up some vintage inspired stockings @ 268 and our mudroom style entryway makeover at 269. Have a great weekend! Eeeek! I'm WAY behind on my blog reading. . . 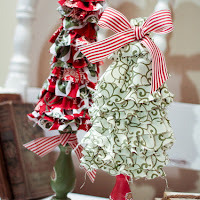 I just notice you featured my ruffle trees (weeks ago). Thank you so much! And thanks for hosting week after week!